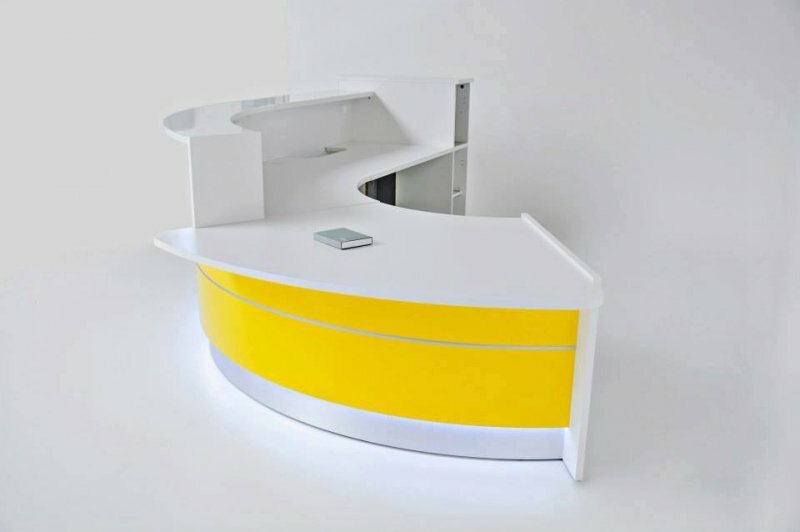 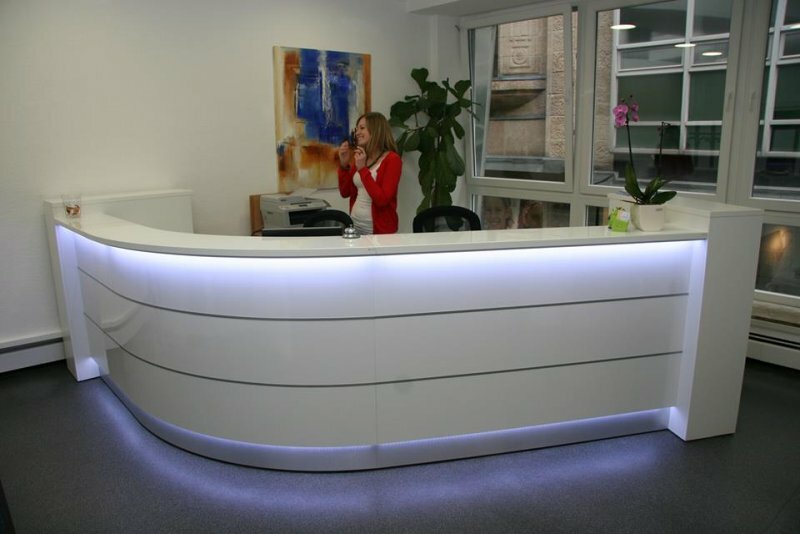 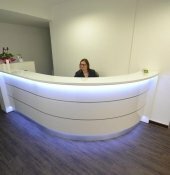 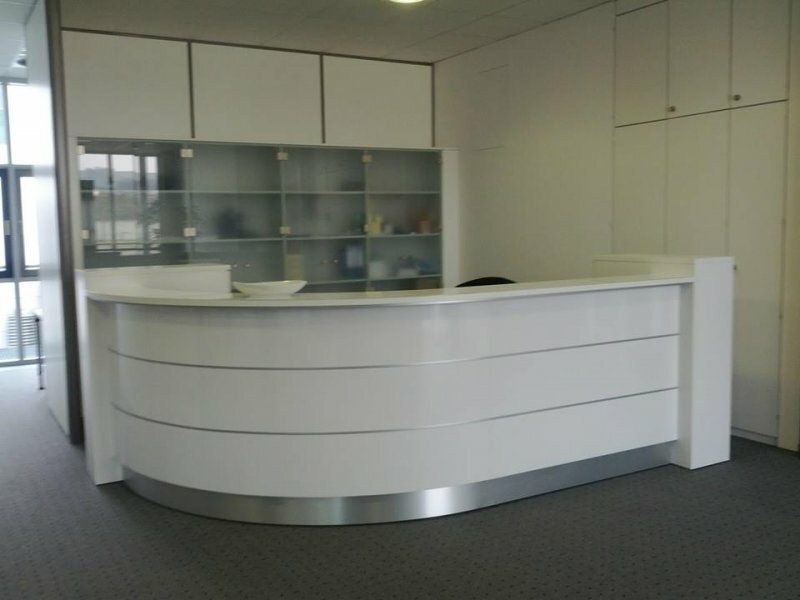 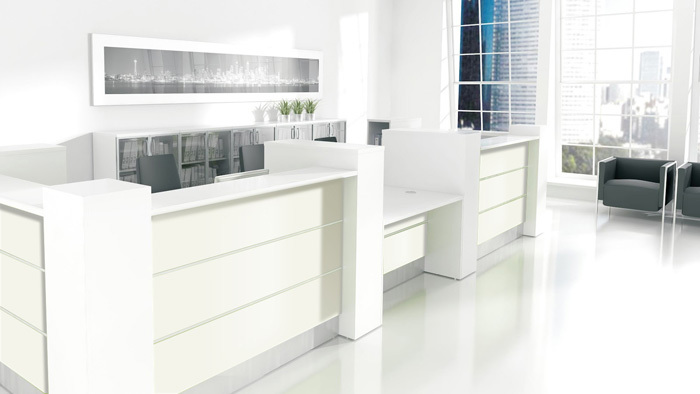 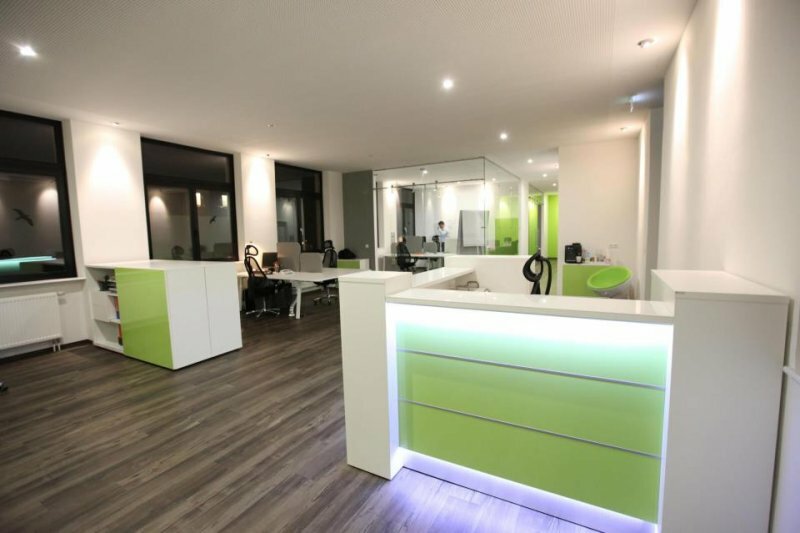 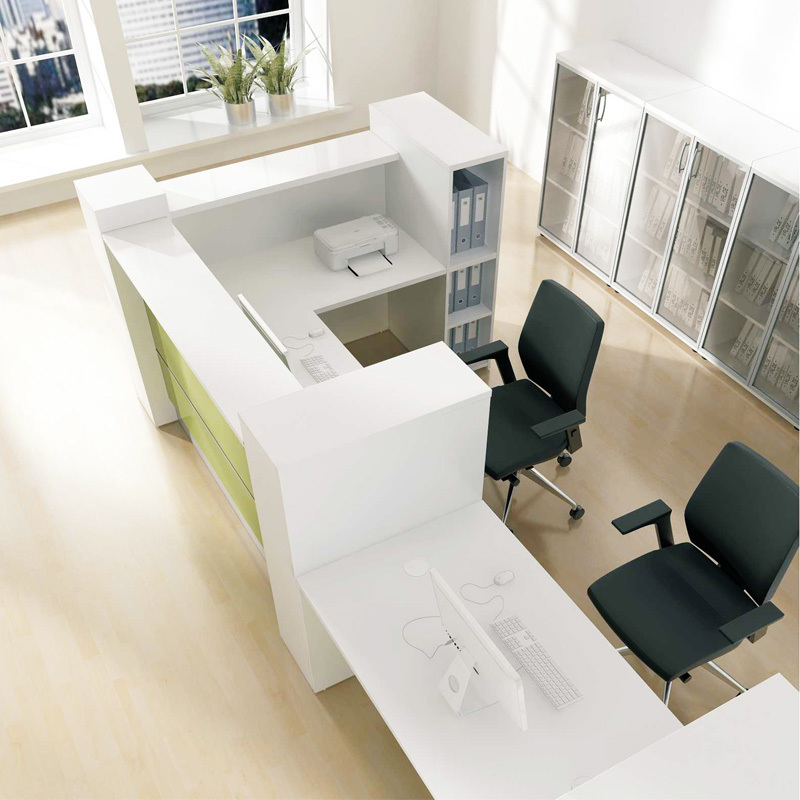 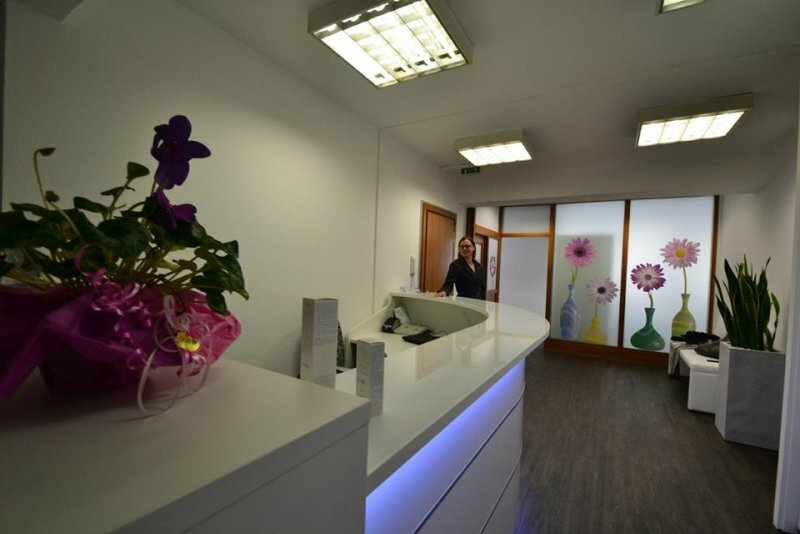 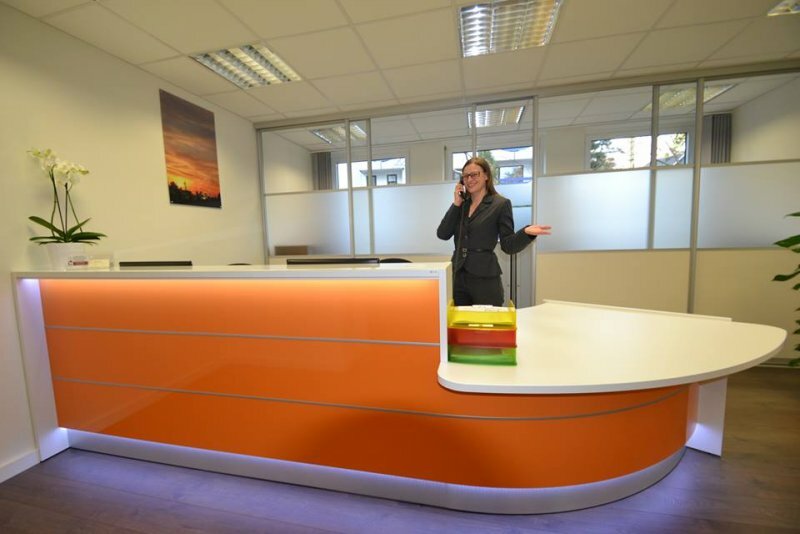 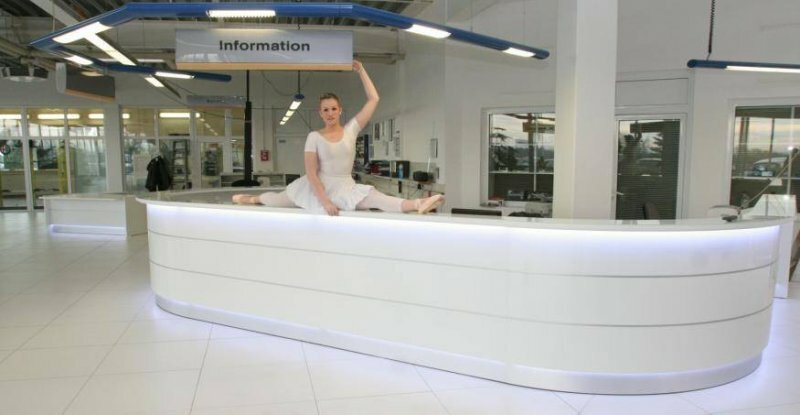 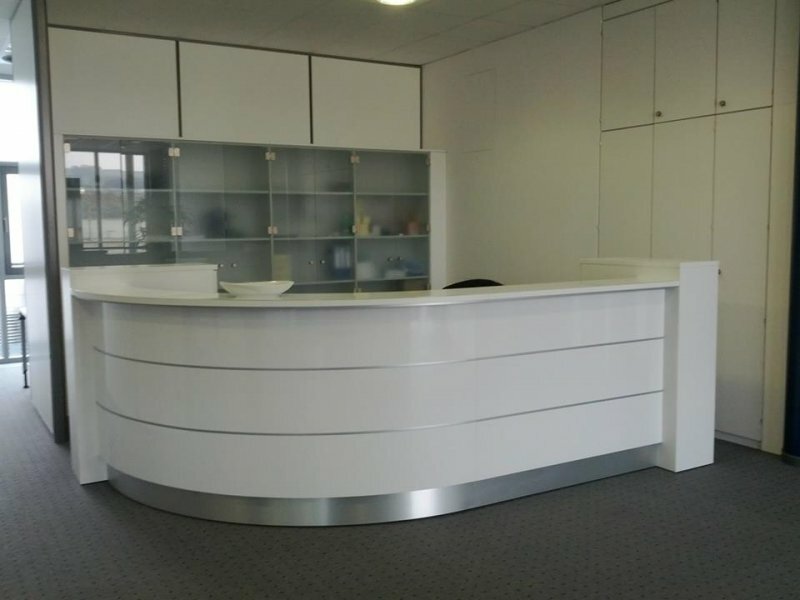 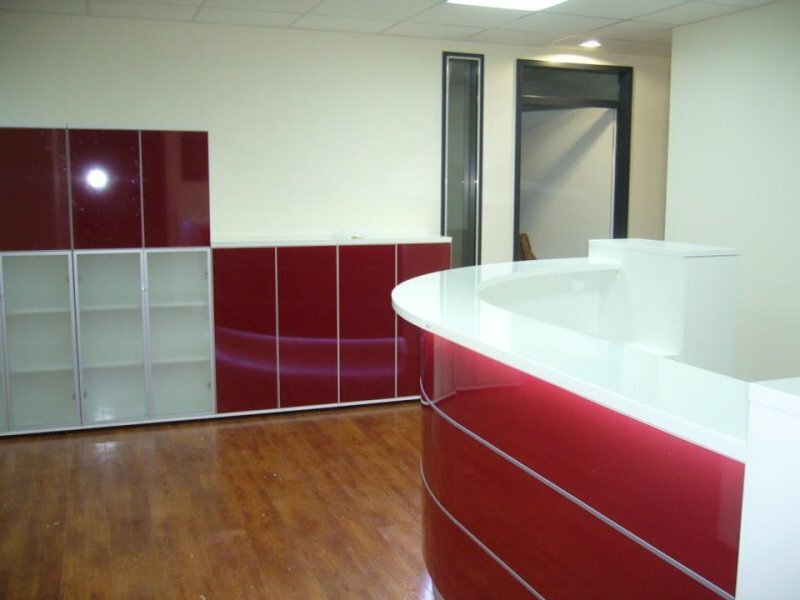 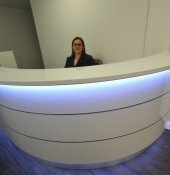 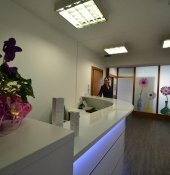 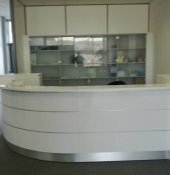 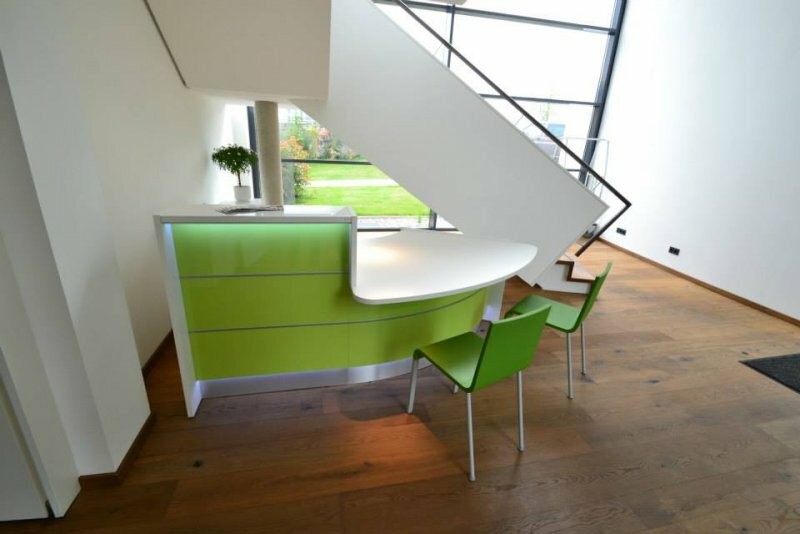 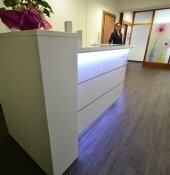 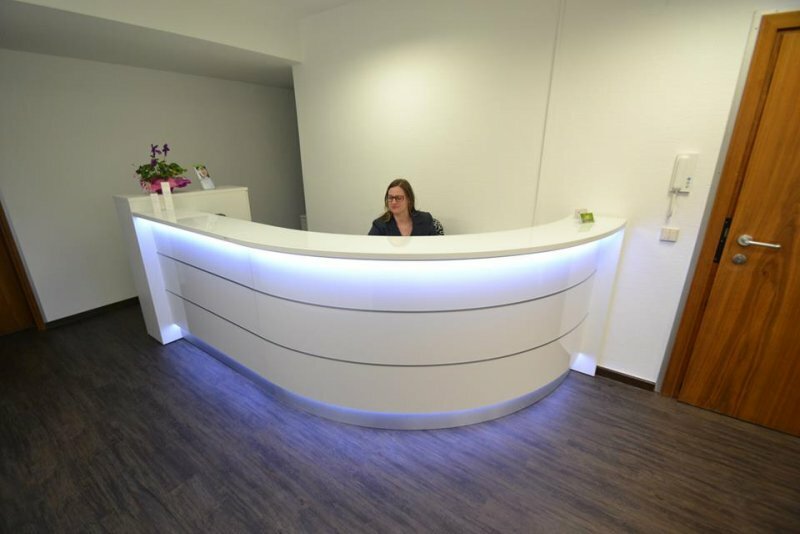 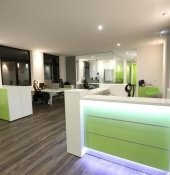 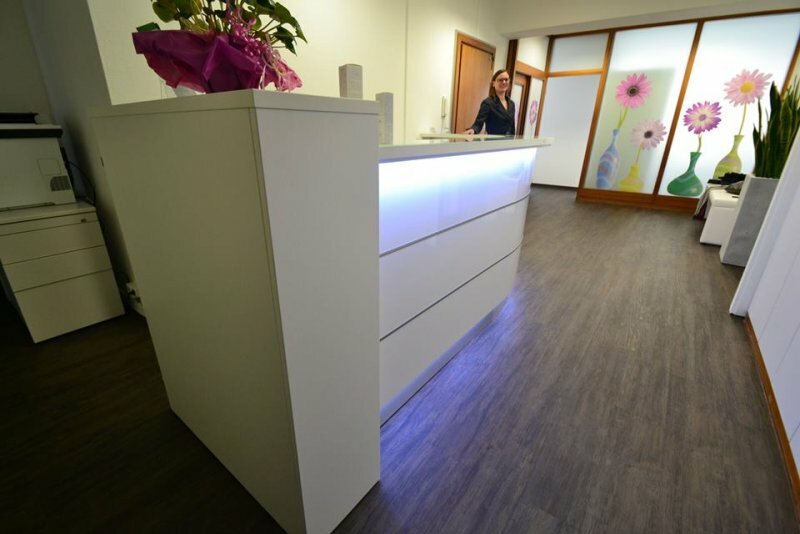 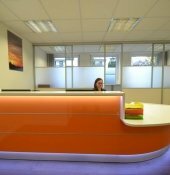 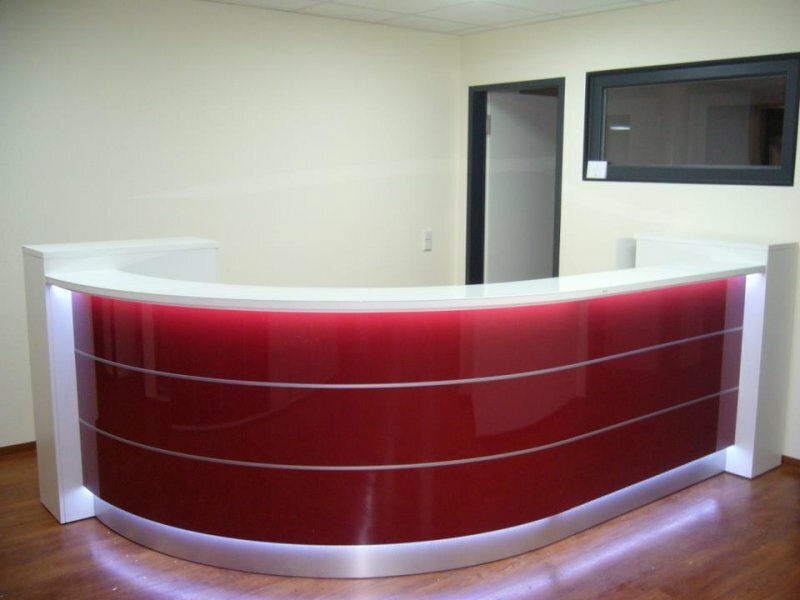 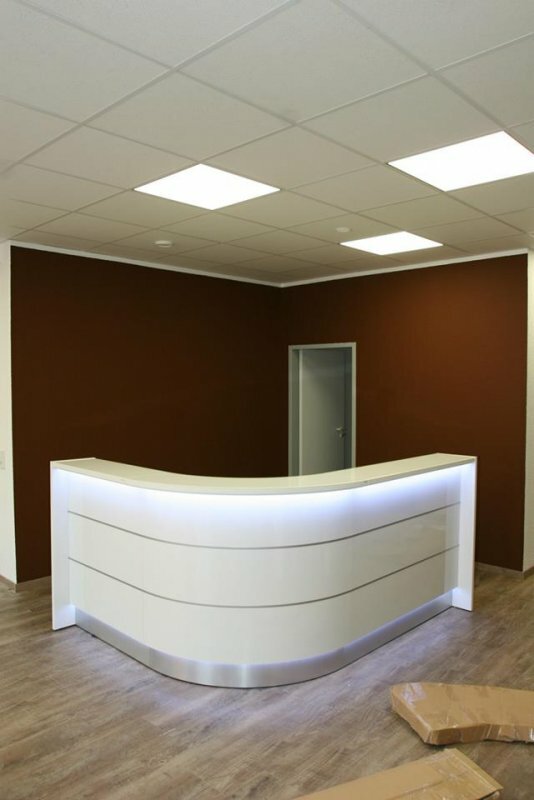 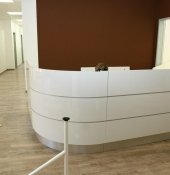 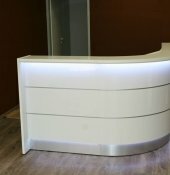 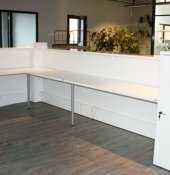 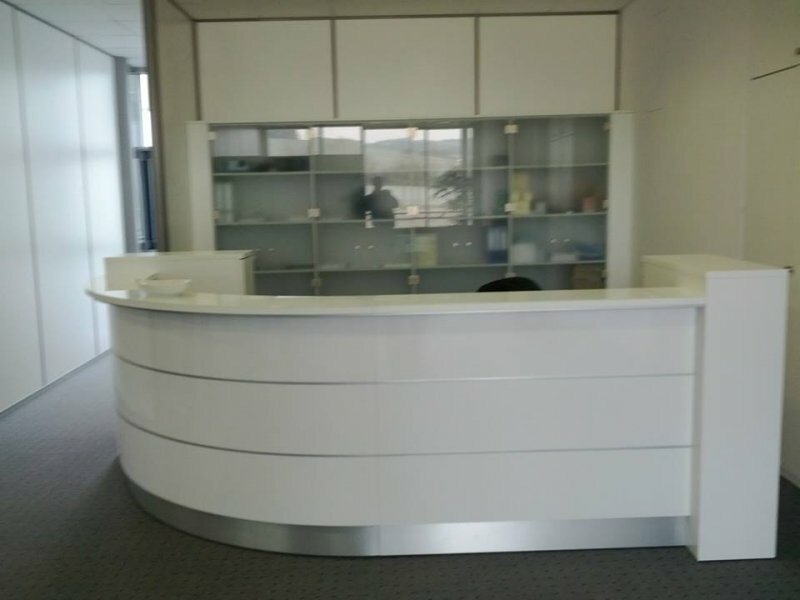 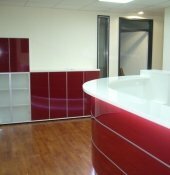 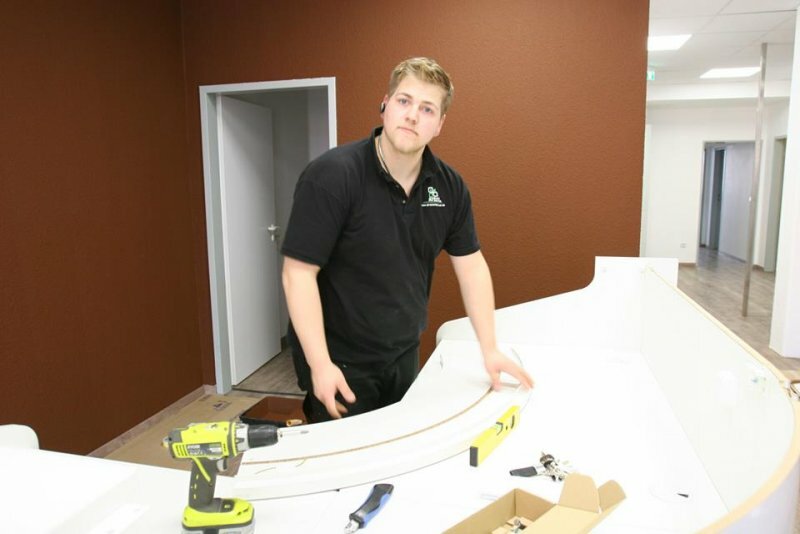 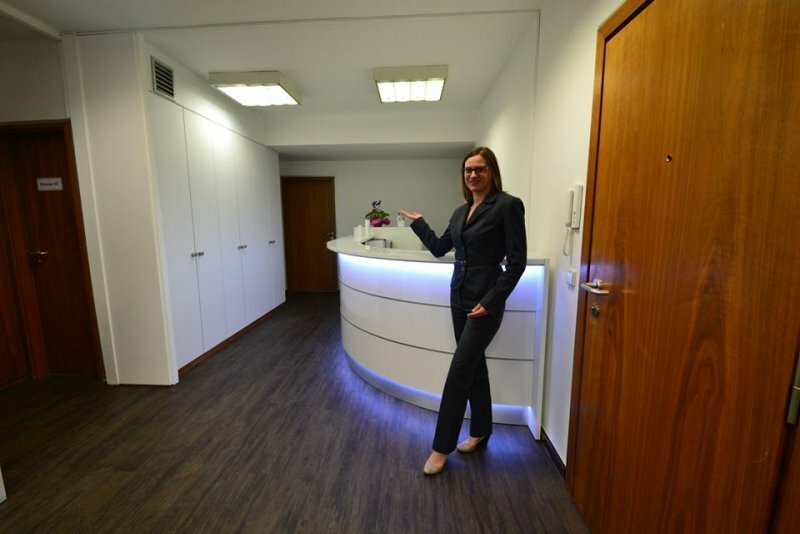 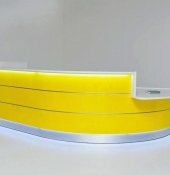 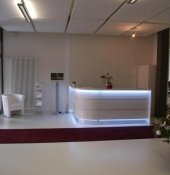 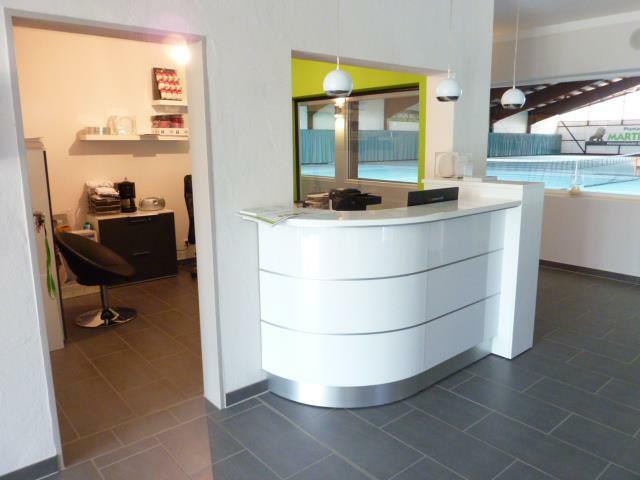 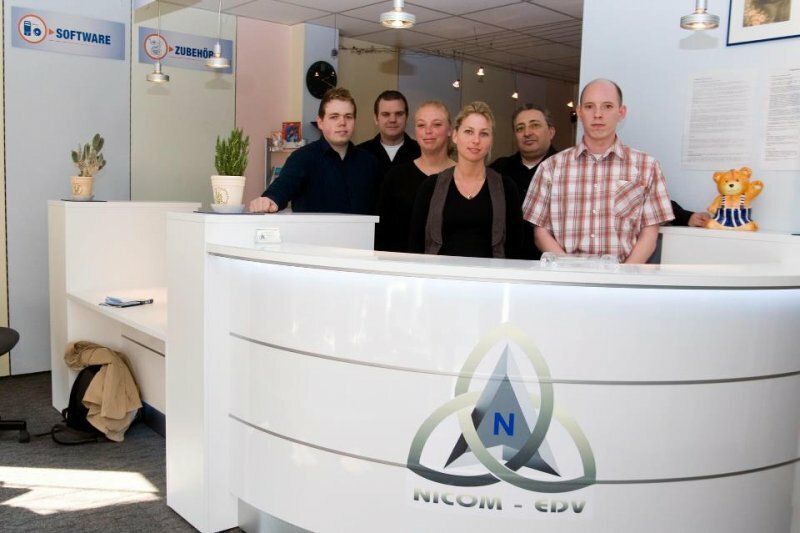 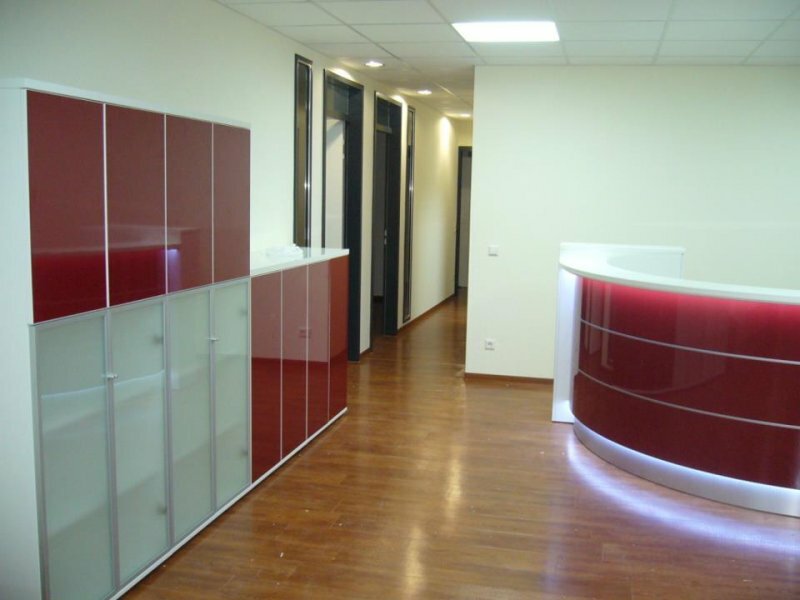 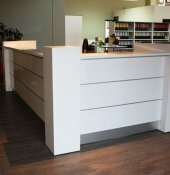 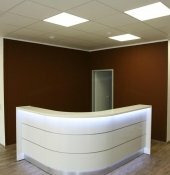 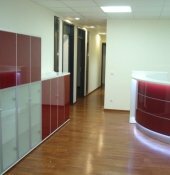 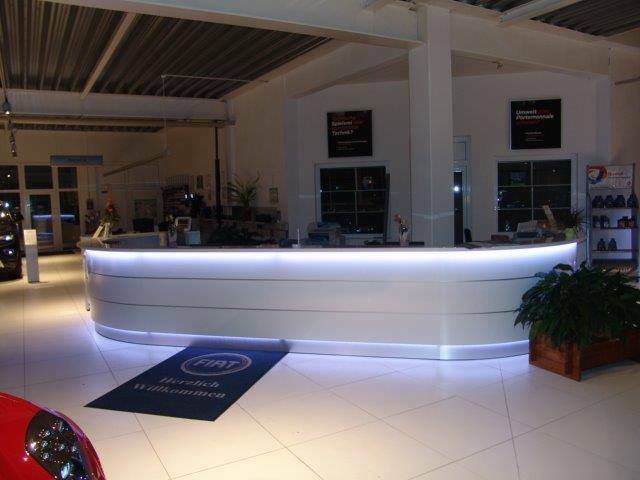 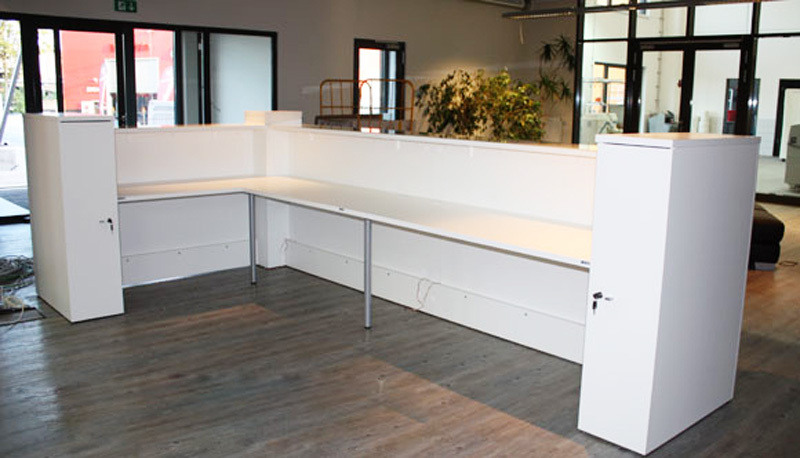 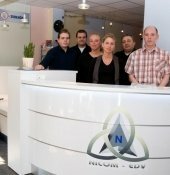 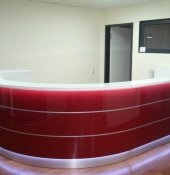 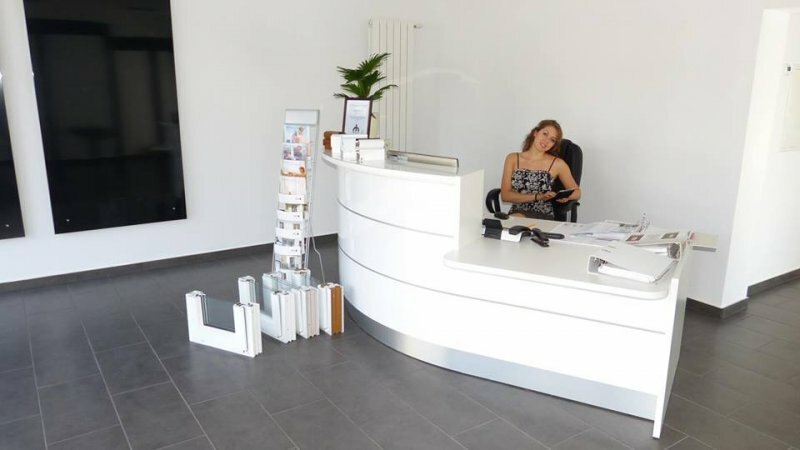 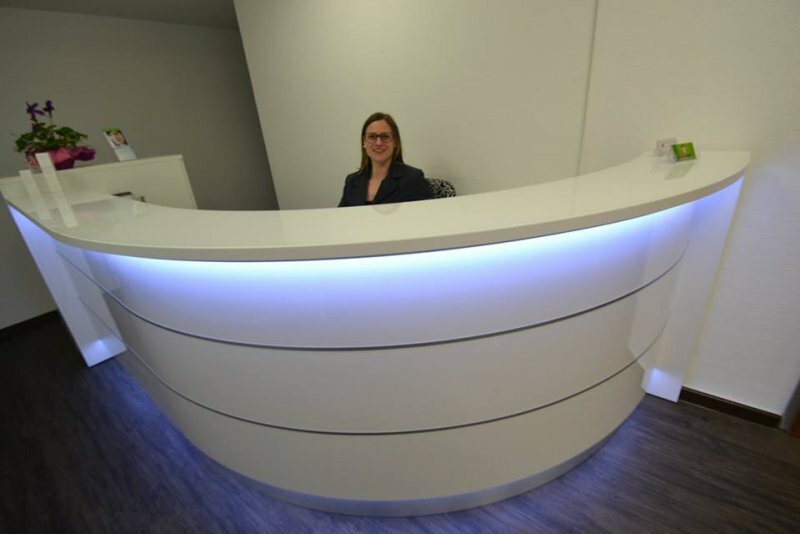 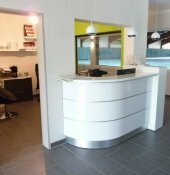 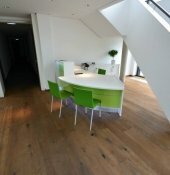 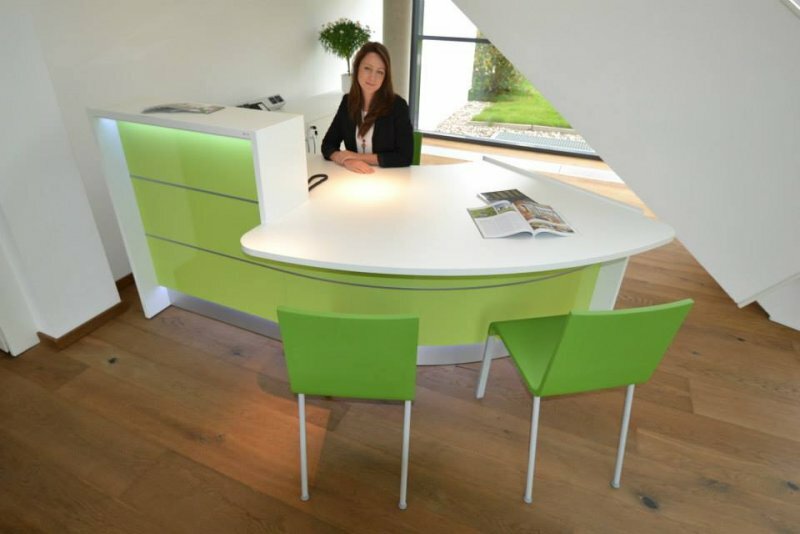 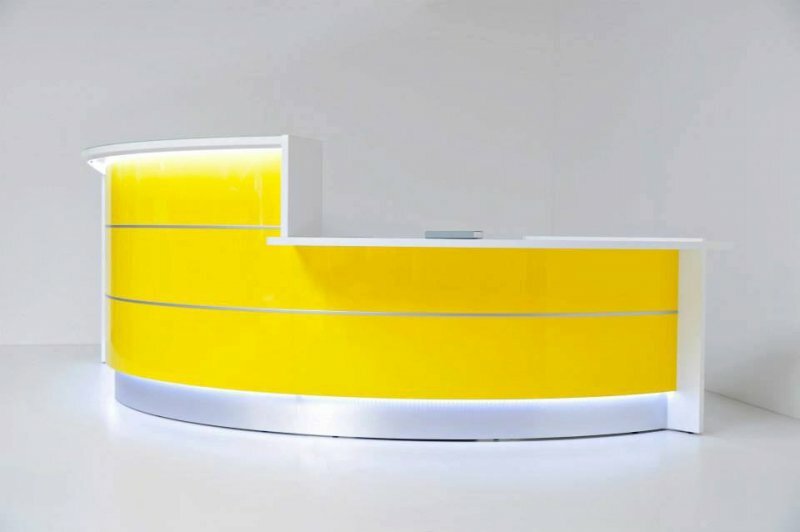 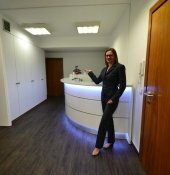 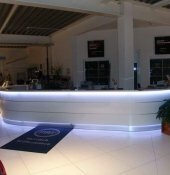 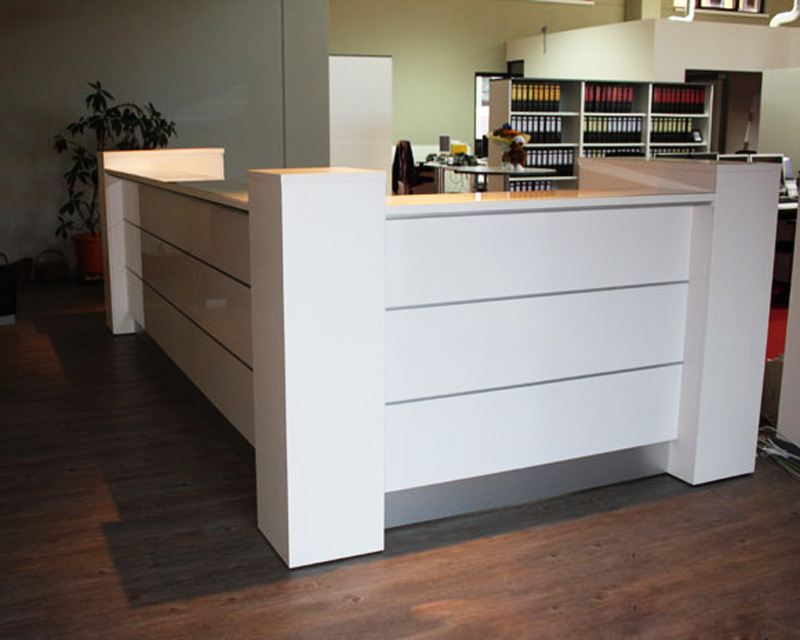 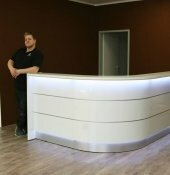 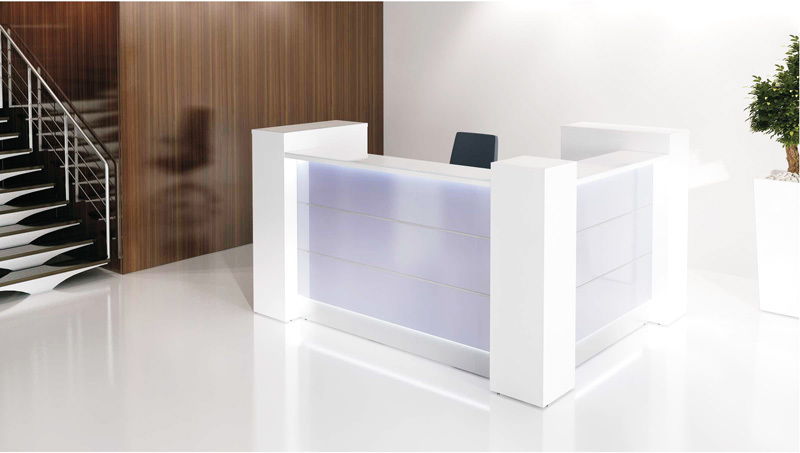 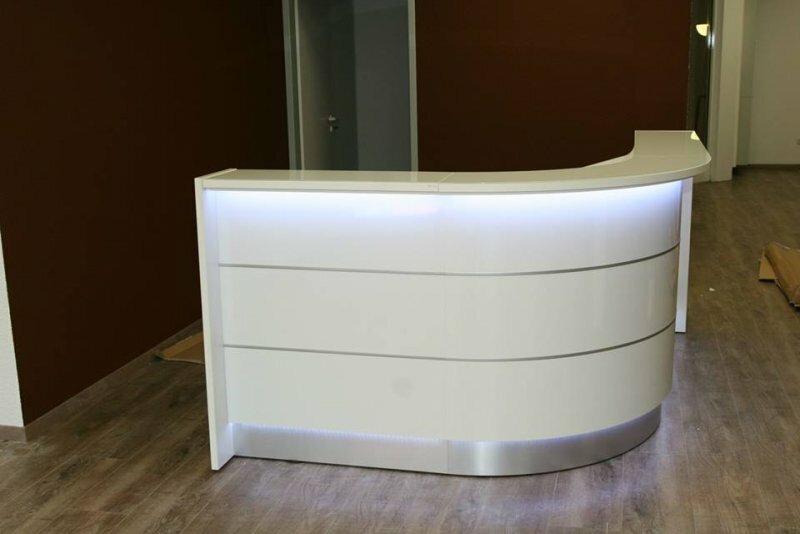 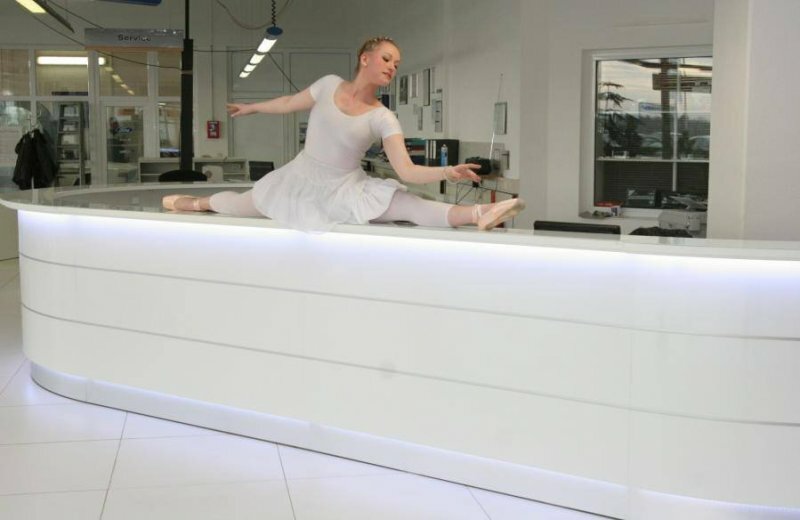 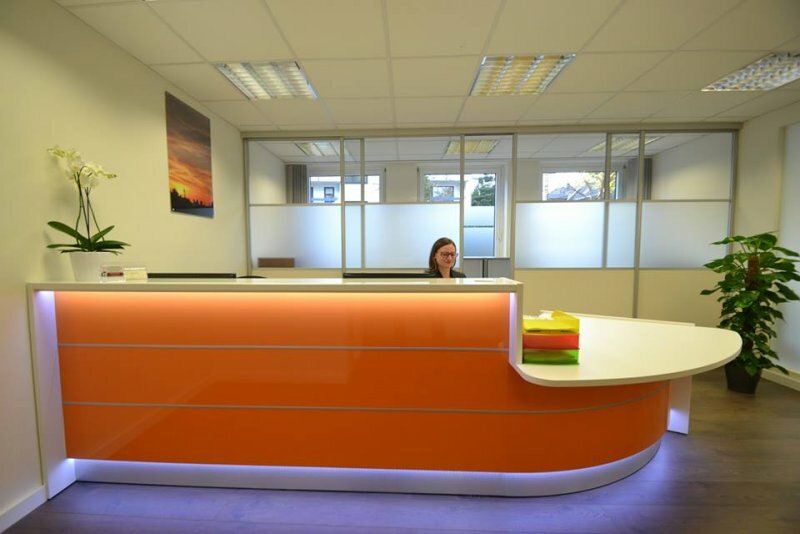 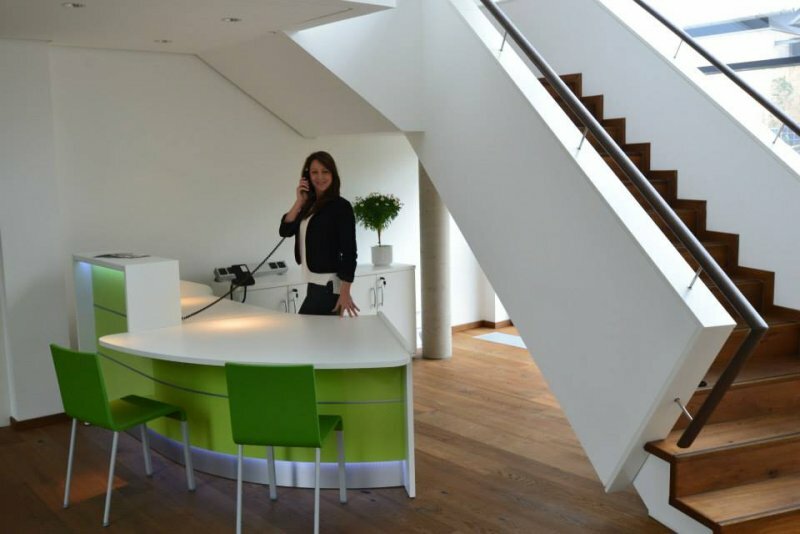 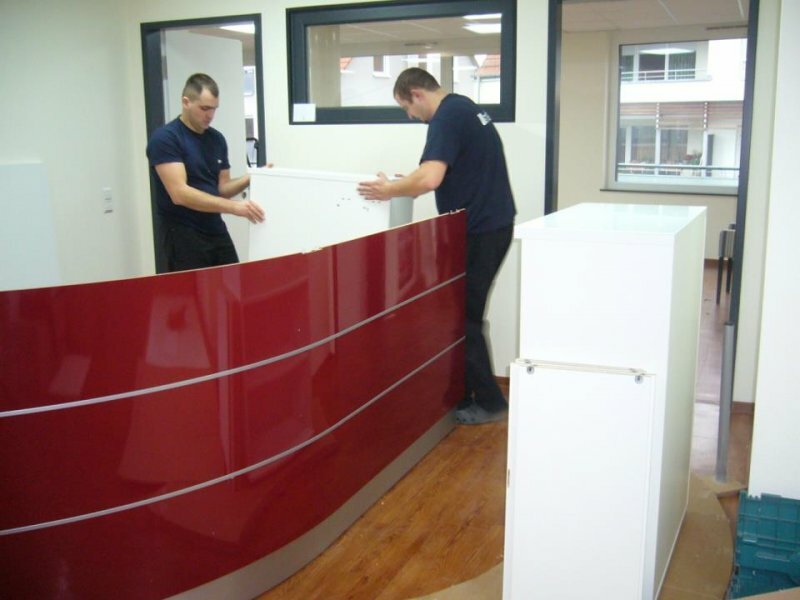 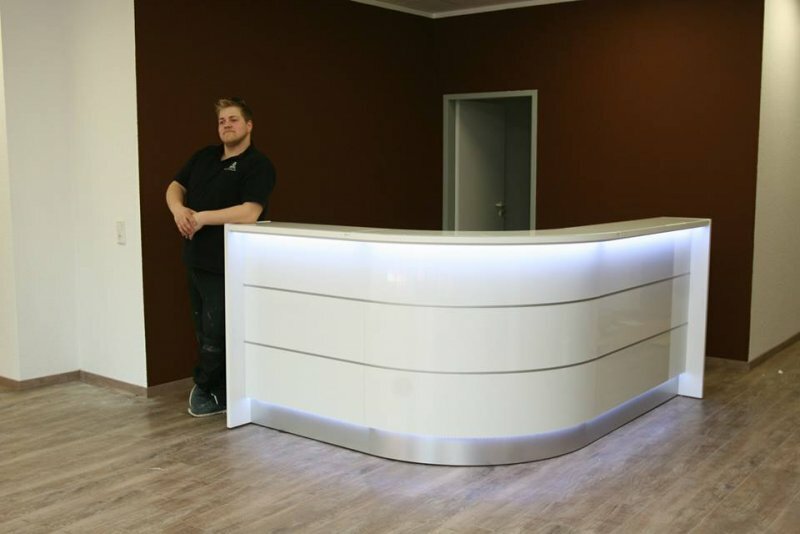 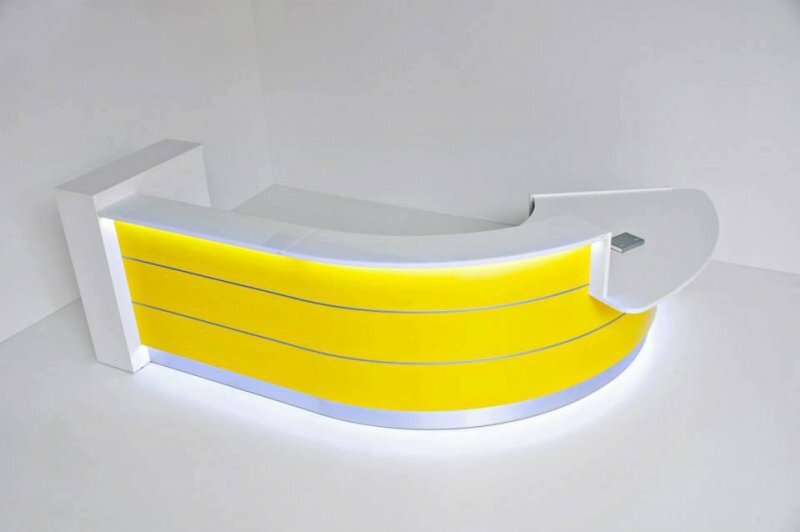 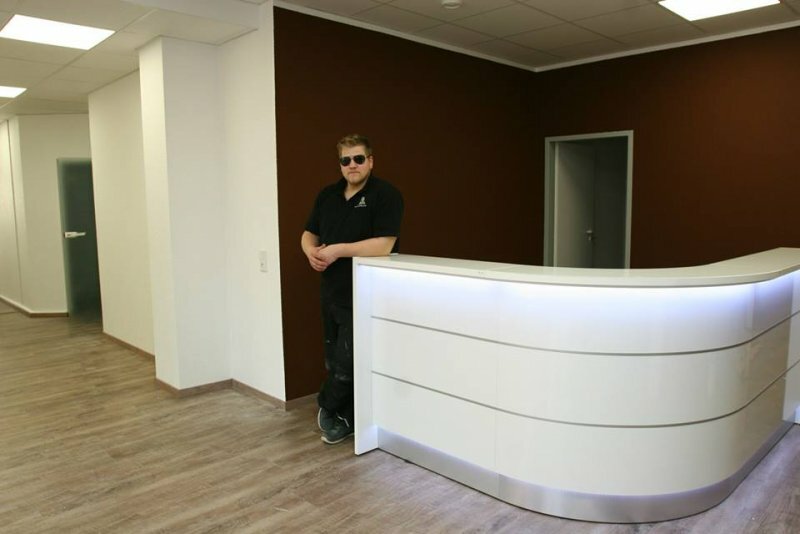 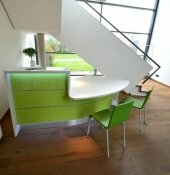 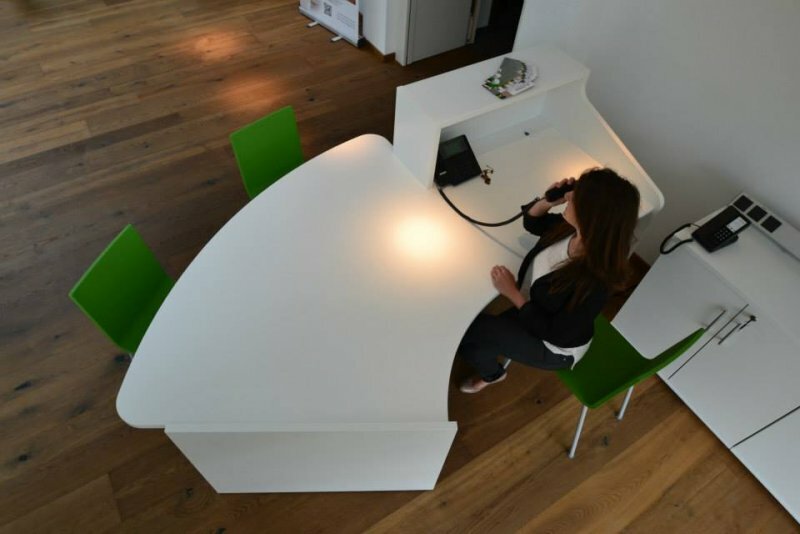 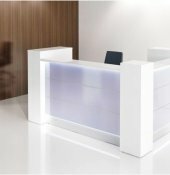 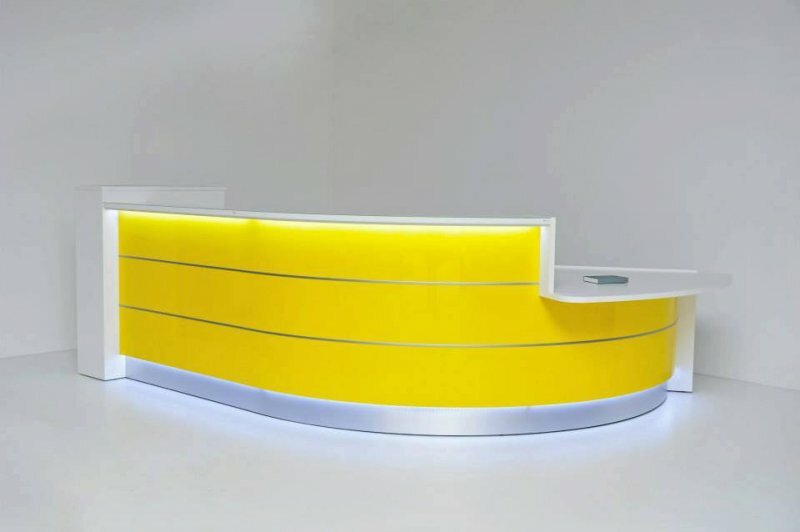 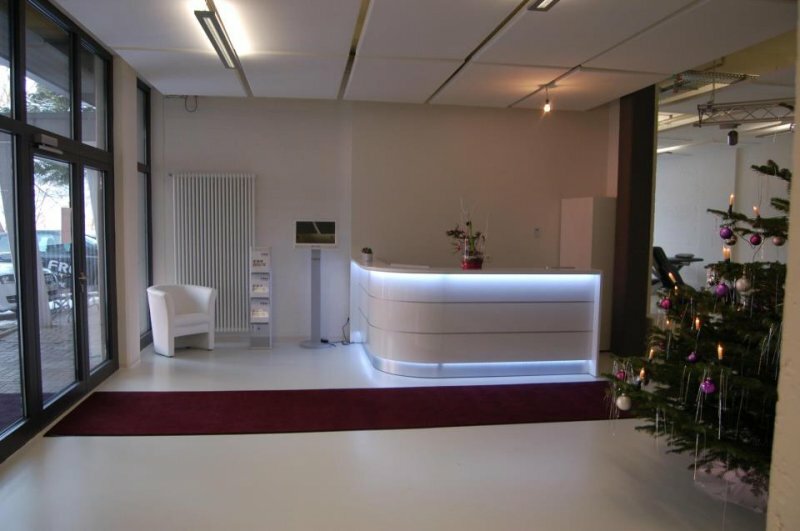 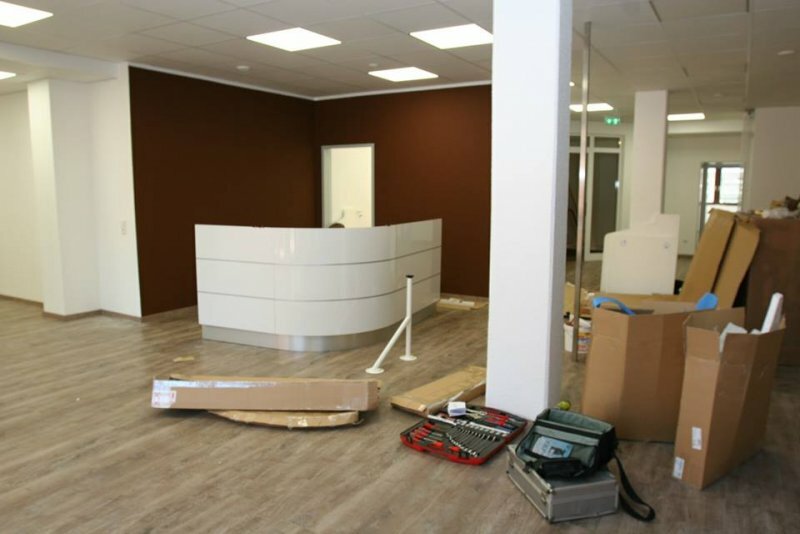 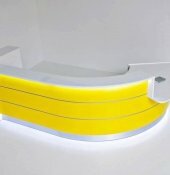 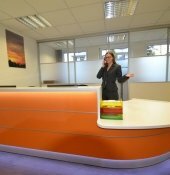 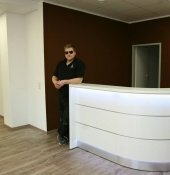 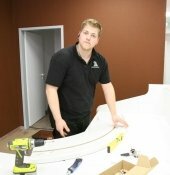 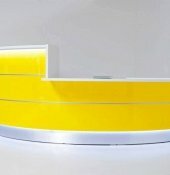 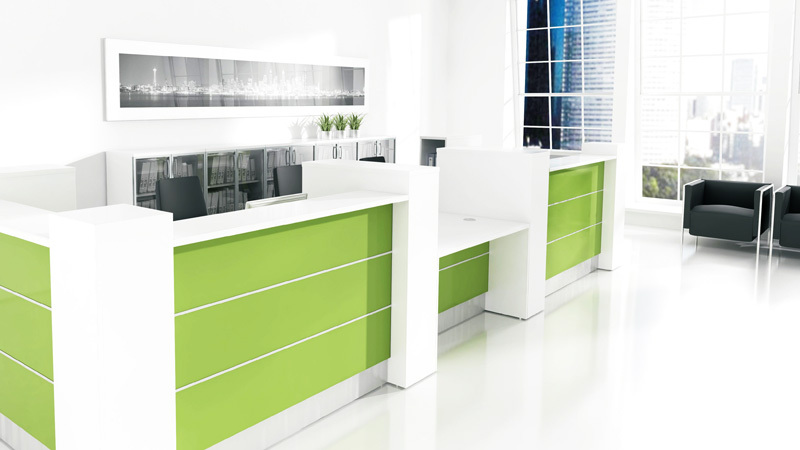 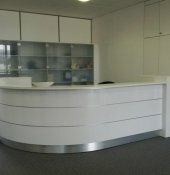 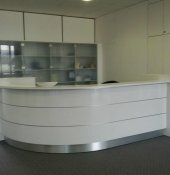 The reception desk has an angled shape with angular and rectangular shape. 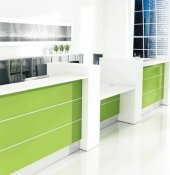 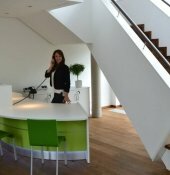 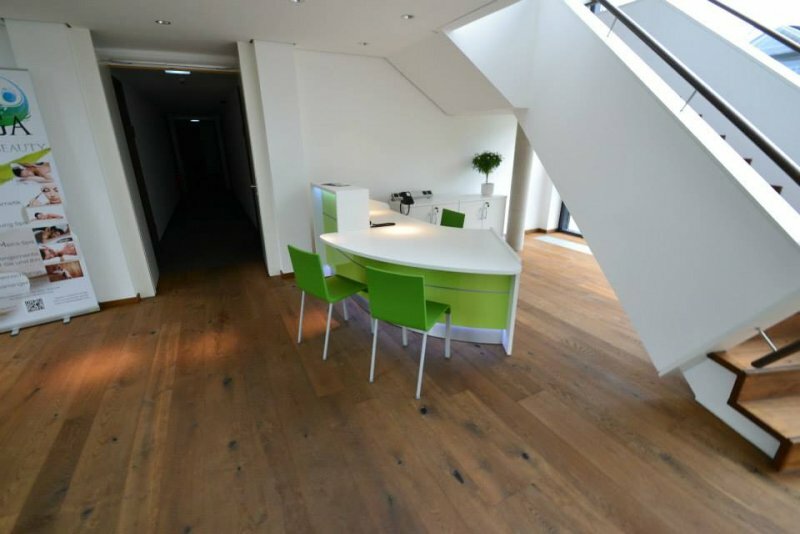 It consists of straight bar elements and rectangular counter spaces all the elements can be adjusted. 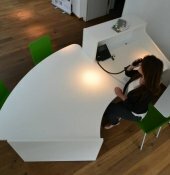 Low counter elements can be mounted to talk to customers, wheelchair users, children and elderly people in sitting position. 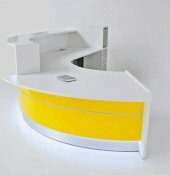 The contact to the customers will be comfortable. 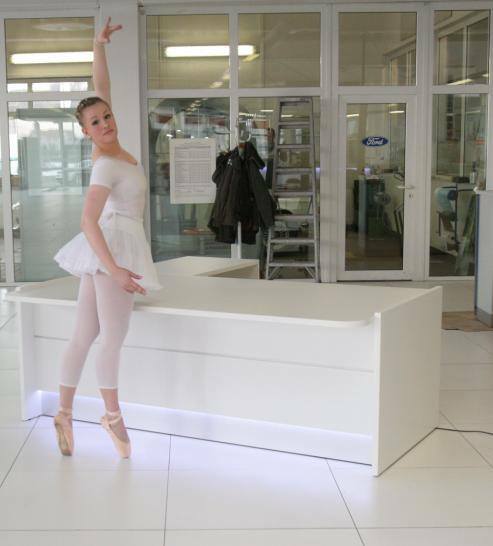 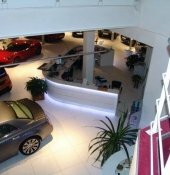 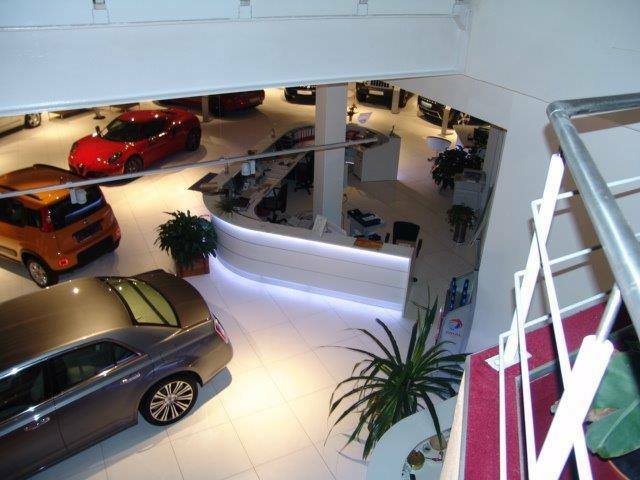 lighting with power-saving LED lights, an elegant and easy to clean glass top as well as a stainless steel decorative footplate.